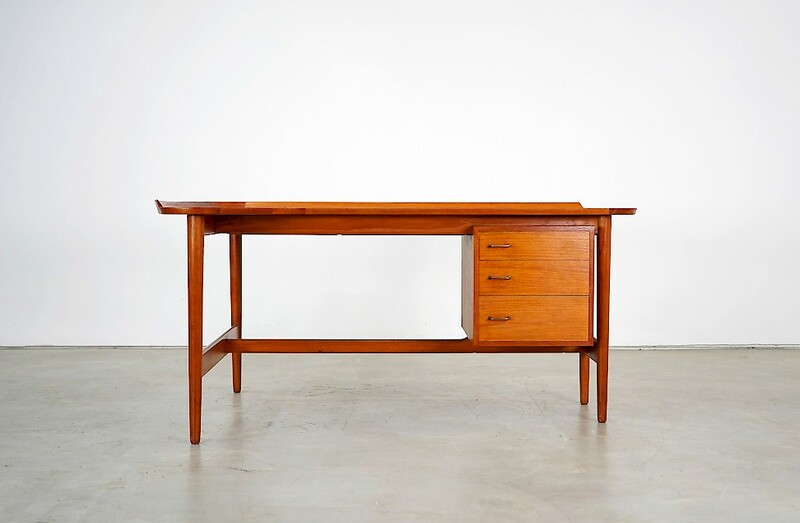 Exceptionally beautiful teak writing desk BO85, designed by Arne Vodder, manufactured by Bovirke in Denmark. Beautiful L-shaped table top. Delicate wooden frame. The piece is in excellent condition.